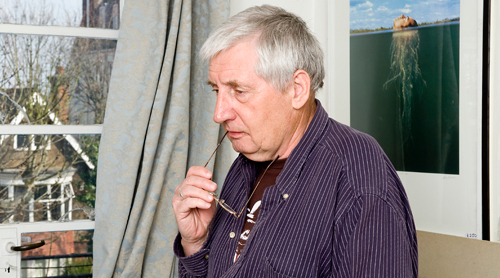 In 2005 I took Storm Thorgerson out for lunch. I'd been asked to interview him for a magazine article about the famous artworks he'd created for Pink Floyd's The Dark Side Of The Moon, Led Zeppelin's Houses Of The Holy, etc. But I also wanted to talk to him for a book I was writing about Pink Floyd. Storm had grown up in Cambridge with three of the band and was still pals with David Gilmour. The meeting took weeks to arrange and was postponed several times. Finally, a date and time were agreed on. I was to call Storm as soon as I arrived at the restaurant beneath his studio in Belsize Park. I did as I was told. Storm answered the phone. "Right, dear," he whispered conspiratorially. "Turn to your right, roll up your left trouser leg, put your right arm in the air and recite the lyrics to Atom Heart Mother... Then I will come down." It was all part of Storm's hazing ritual. He finally appeared 45 minutes later and immediately told me that he was "too busy for small talk." I bought him lunch. He nattered about album covers for nearly two hours and told me precisely zilch about the inner workings of Pink Floyd. "I don't know if I want to talk to you for this book," was his parting shot. Four months, countless e-mails and phone calls later, he relented. After the book was published, Storm asked me to contribute to a couple of his projects. I was flattered. Nothing was ever simple, though: meetings were postponed and sometimes I'd turn up in one place and be told that he was in another. 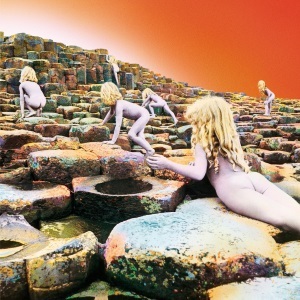 But once you adjusted to Storm's rhythm of working - think of the chaotic time signatures you'd hear on some of those '70s prog albums he designed covers for - you were fine. He was also very funny, rude, grumpy, gossipy and quietly generous. Storm had been brought up by his mother in Cambridge, and went to the same school as Pink Floyd's Syd Barrett and Roger Waters. As a teenager he used to hold court at a particular spot, Sheep's Green, along the River Cam, which is where he encountered a young David Gilmour. 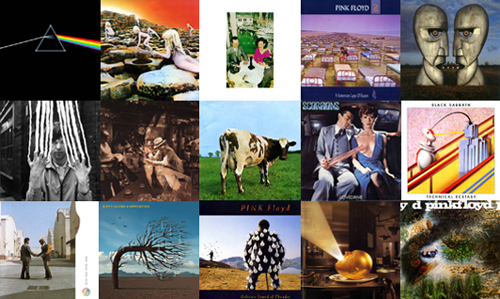 Storm formed the Hipgnosis design agency with another Cambridge friend, Aubrey 'Po' Powell, in 1968, after casually offering to design a cover for Floyd's A Saucerful Of Secrets LP. Hipgnosis spent the '70s making striking and occasionally not so striking cover art for Floyd, Zeppelin, 10cc, Wishbone Ash, Genesis and lots of other bands that never sold half as many records. Storm always claimed he was a lousy photographer and a lousier artist. But what he was good at was ideas - and he was obsessive about turning those ideas into reality. He'd bicker with clients and blow budgets in his quest to do the job properly: that is, the way he thought it should be done. In 1987 Storm arranged for 700 hospital beds to be photographed on a beach in Devon for the cover of Pink Floyd's A Momentary Lapse Of Reason album. It started raining, so they had to do it all over again. Storm said that once punk came along it was all over for his kind of artwork. It was and it wasn't. The sleeve Hipgnosis created for XTC's Go 2 in 1978 was great, and a far cry from the Magritte-meets-Monty Python surrealism of their earlier work. Nevertheless, Hipgnosis folded in 1983 and Storm went off to make pop videos and adverts, bickering with clients and blowing budgets, just as he'd done before. He returned to album artwork in the late '80s. His new company, Storm Studios, went on to work with Muse, The Mars Volta and Biffy Clyro, though Storm always grumbled about being rejected by the Red Hot Chili Peppers. He suffered a stroke in 2003, made a remarkable recovery, but was later diagnosed with cancer. He rarely stopped working. The last time we met was after he'd roped me in to contribute to a film documentary he was making. "I can't pay you," he said. "But I'll give you a print. 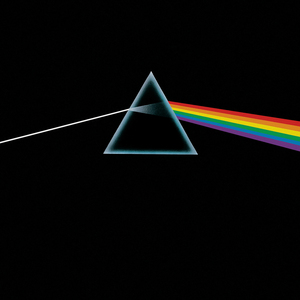 What's your favourite Floyd cover?" I told him it was Animals, partly because I knew that the idea of flying a pig over Battersea Power Station wasn't his, it was Roger Waters', and that this would wind him up. "Why?" he demanded. When I told him that it was really because I had fond memories of seeing the power station as a kid visiting grandparents in Balham, he began theatrically snoring and told me to shut up. Half an hour later, I got my print. It was the Floyd's Wish You Were Here. "Much better dear," Storm whispered. He will be missed.